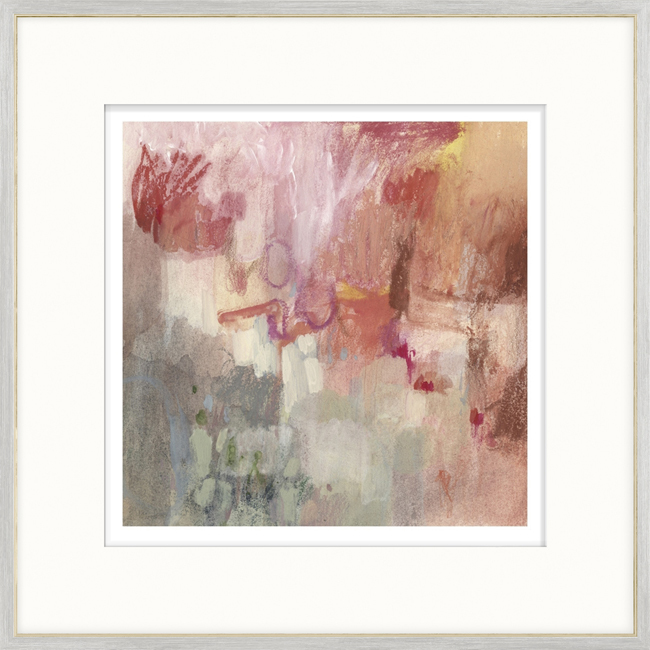 A mixed media abstract in warm tones. 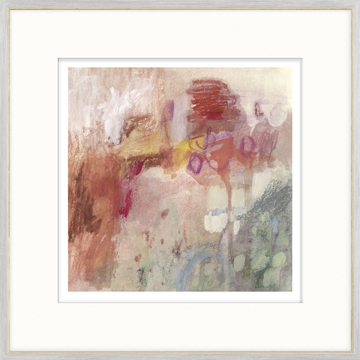 A mixed media play of crayon markings against watercolour washes includes blush and rose over soft cool tones. Complemented with a raised matte and gold lined, gray toned profile.